First Study Visa Issued Under the Study Direct Stream - Gateway to Canada | Canada Immigration Consultancy! When the Study Direct Stream was launched in Manila a couple of months ago, the Visa Office in Manila wasn't expecting to process applications for September 2017 intake. That's according to the Immigration Officer who gave a talk about Study Direct Stream during the EduCanada Agent Infosession which we've attended the other day. But we have just received the first study visa we've processed under the Study Direct Stream! This first visa is a very interesting case. We initially submitted the application only under the regular processing. 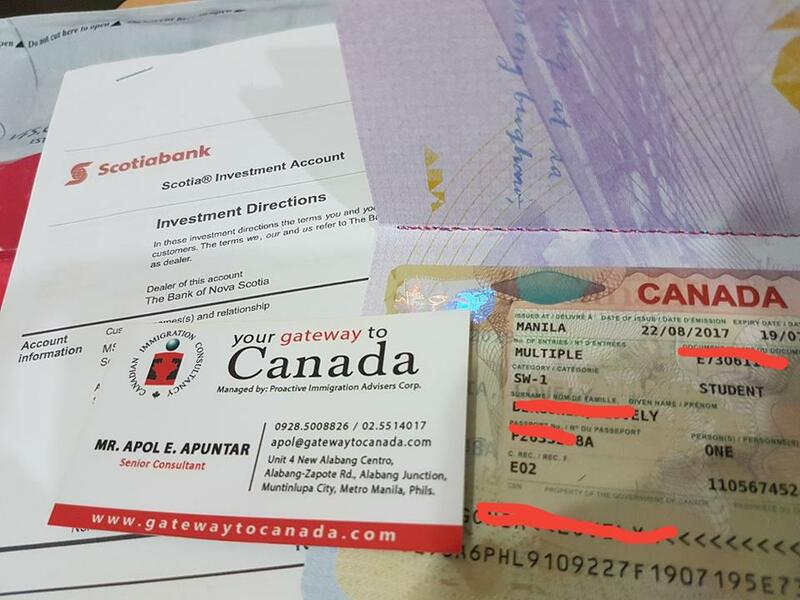 The application was rejected by the Visa Office on the grounds that the Visa Officer is not convinced that there is available funds for the applicant's stay in Canada, among other reasons. The application submitted a letter of support from parents with huge amount of money and a very good banking history. The application was filed 1st week of June 2017 and the rejection letter was received last week of July 2017. Classes would start September 2017. We immediately advised client to resubmit the application under the newly launched Study Direct Stream. We told her to pay the tuition for one year and to open an account with ScotiaBank's Guaranteed Investment Certificate which she did immediately. Her new application was received by the Visa Office first week of August 2017 and in less than 3 weeks, her visa was issued! If you are applying for Study Visa, it is highly recommended that you have it processed under the Study Direct Stream. But since this is just a pilot project, the option is available only for applicants without dependent and with Letter of Acceptance from a public post-secondary institutions.